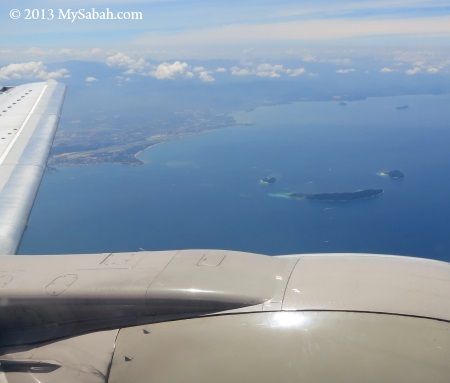 Visitors who take a flight to Kota Kinabalu (KK), capital of Sabah, would not want to miss the aerial view of beautiful islands when their plane approaches the city. If you are lucky, you will see that our islands are smiling at you. 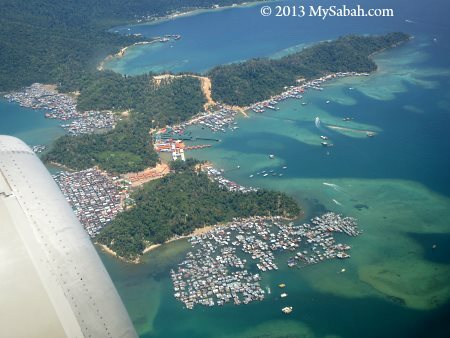 You won’t miss Gaya Island and the water villages, as Gaya is the largest island near KK. 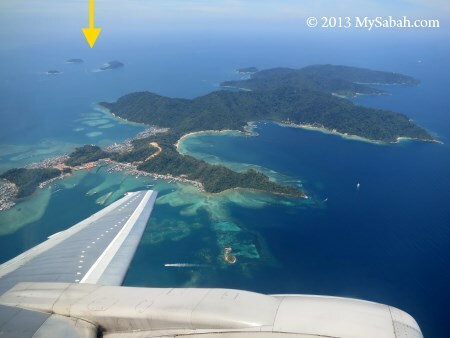 The “similing” islands are just next to Gaya Island (see yellow arrow). Depending on your luck, your plane may or may not pass by “Smiley Island”. You can only see it when the angle is right. 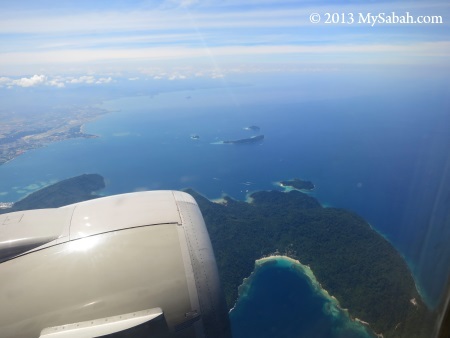 I saw it when my flight departed from Kota Kinabalu to Kuala Lumpur. 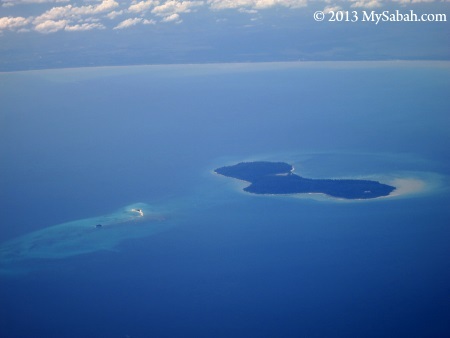 If you are at the window seat, you would be greeted by our Smiley Islands. 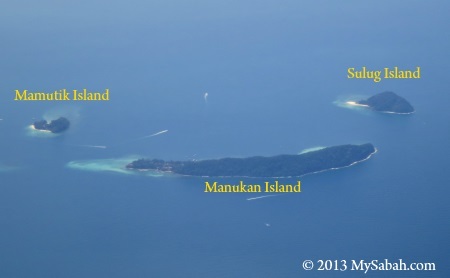 This Smiley Island is formed by 3 islands in Tunku Abdul Rahman Marine Park, namely Manukan Island (Pulau Manukan), Mamutik Island (Pulau Mamutik) and Sulug Island (Pulau Sulug). 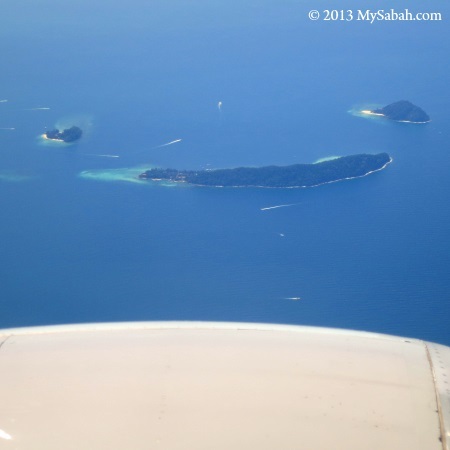 Anyone wants to guess what are the islands below?